A country hit by war must now also face a deadly disease. 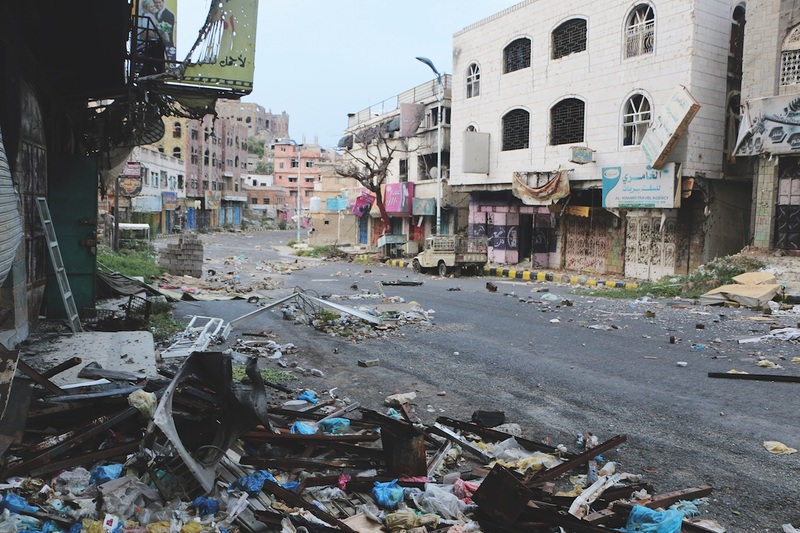 With more than 20 million people reliant on aid, Yemen was already the world’s single largest humanitarian crisis before it fell victim to a deadly cholera outbreak that has now claimed some 2,000 lives. 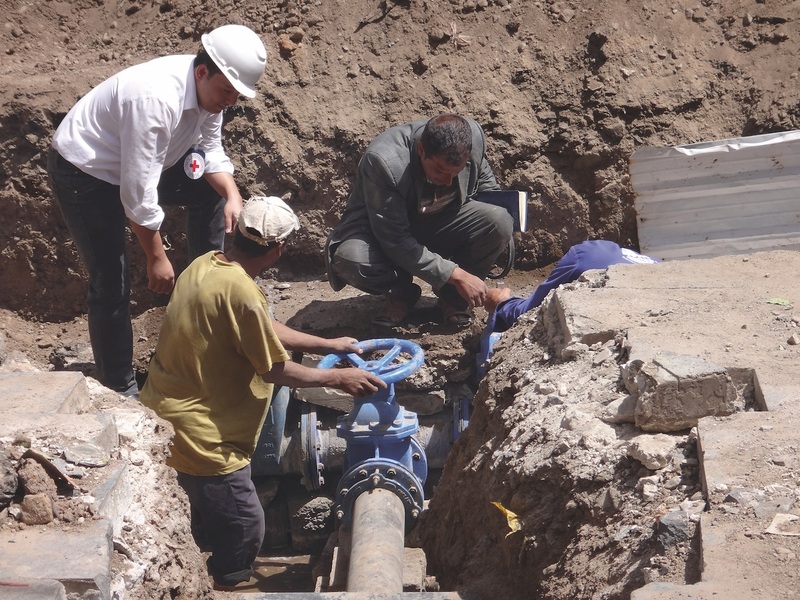 The Yemen Red Crescent Society, meanwhile, works on a number of fronts to prevent and respond to cholera. 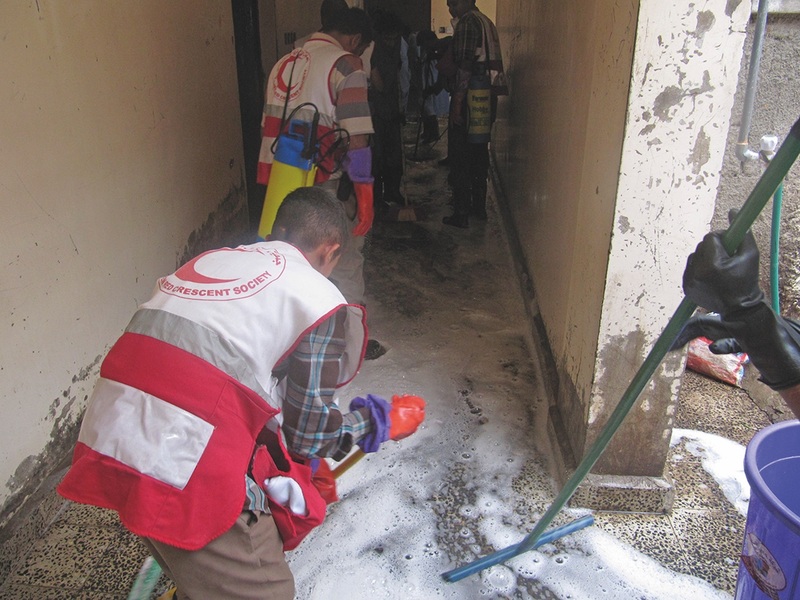 Below, ICRC staff and Yemen Red Crescent volunteers take part in a cleaning campaign to combat cholera inside a detention centre. 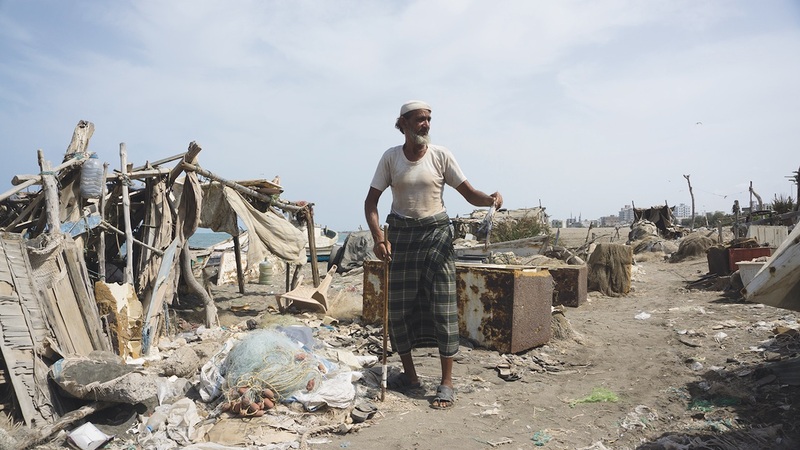 Fareed al-Homaid/ICRC.